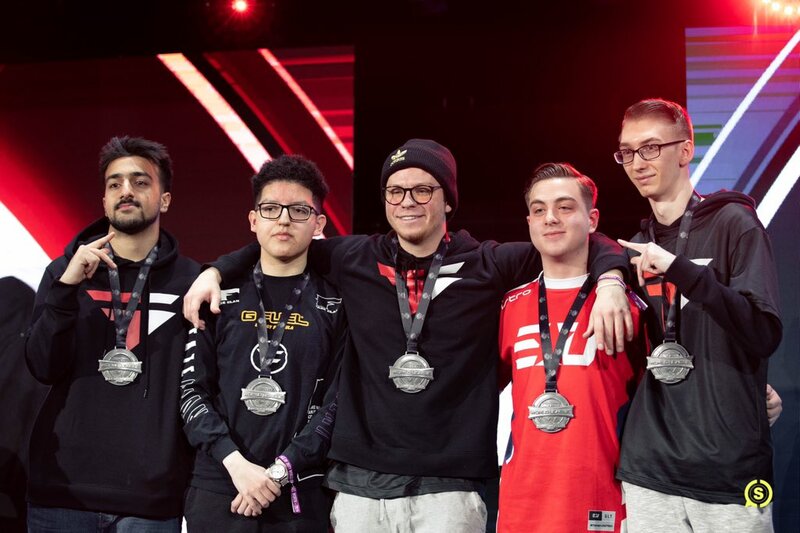 CWL Fort Worth marked the beginning of a new format for events throughout the season, splitting the action into two distinct brackets. The 16 teams from the CWL Pro League now only compete against each other, whereas amateur teams have to fight their way through an open bracket with its own prize pool and bragging rights. Basically, there’s a divide between professional and amateur players and teams now. The team to conquer the very first MTN DEW AMP GAME FUEL Open Bracket turned out to be FC Black, perhaps better recognised as the academy roster of FaZe Clan. After receiving a first-round bye, they fought their way through the sprawling bracket without conceding a single series to emerge victorious. Just minutes after the team received their medals on the main stage in Fort Worth, we talked to McArthur “Cellium” Jovel about the win and the changes to the event now he’s no longer on a professional team. The event has changed its format by splitting amateur and professional squads, what do you think of the change considering your current status after failing to qualify for the Pro League with FaZe Clan? I think the placements for open bracket teams don’t mean as much as they did before as top eight was mostly professional teams, but yeah, it’s overall a good change for amateur teams to show what they can do. How much preparation did you get before the event considering Chris “Simp” Lehr was announced just days before the event started? We only got around a month of practice before we picked up Simp but Obey “Asim” Asim, Thomas “GRVTY” Malin, and Timothy “Phantomz” Landis had already been playing together for a while so they already had good chemistry before we joined. Myself and Simp just naturally fitted in well with the roster fortunately. What makes you guys so dominant? You didn’t even lose a series throughout the entire bracket. Just our chemistry and our vibes. In our games we’re hyping each other up and just frying everyone. It was easy. Mindfreak were probably our biggest challenge, though. How do you stay prepared and motivated in between events without the Pro League occupying your time? We play a lot of scrims, wagers, Search & Destroy tournaments, anything we can. I just love playing Call of Duty so it’s easy to stay motivated to play and practice.